Art HAPPENINGS in Beacon, New York, FOR April 2019 and beyond! Want To Sponsor This Art Gallery Guide? For years, Beacon has had hoppin' Second Saturdays with gallery openings and art happenings. But art refuses to be confined to a hashtagged event schedule. That's why we've expanded this Guide to showcase as many art openings as we can within Beacon's city limits. Artistic endeavors are going up on walls (and sidewalks, and lawns) all the time around town, so keep your eyes glued to this space and refresh often to stay in the loop. We try to update the bulk of this Guide on the Monday before Second Saturday, or as venues list their happenings. But we're constantly updating the Guide as we hear about new events and openings. Are you planning for the fourth Thursday of the month? Or maybe you're already a seasoned #2Sat pro? Skip the Second Saturday 101 below if you'd like, and head straight for the listings, starting with Dia: Beacon. Our Second Saturday Art Gallery Guide is sponsored by No. 3 Reading Room and Photo Book Works, at 469 Main Street, down toward the east end of Main Street near the Story Screen Beacon Theater, where you’ll find not just rotating exhibits, but cool collections of handmade books that the public is encouraged to peruse. Do you have an art opening coming up? Tell us about it: Drop a line to editorial@alittlebeaconblog.com with the who/what/when/where, and include a representative photo, to be considered for inclusion in this Guide. Second Saturday is a lively day into night in Beacon, and is a celebration of Beacon's galleries, restaurants and other businesses on the second Saturday of every month. Dan Rigney, former president of BeaconArts (the organization who encouraged this movement to happen over a decade ago, and who still heavily promotes the events) says: "Back then, Beacon was one of the last places people outside of town thought to go on a Saturday night. Now Second Saturday has become a part of the fabric of Beacon. It's such a part of it, many galleries have their opening events on other Saturdays, so that they get two big crowds each month." 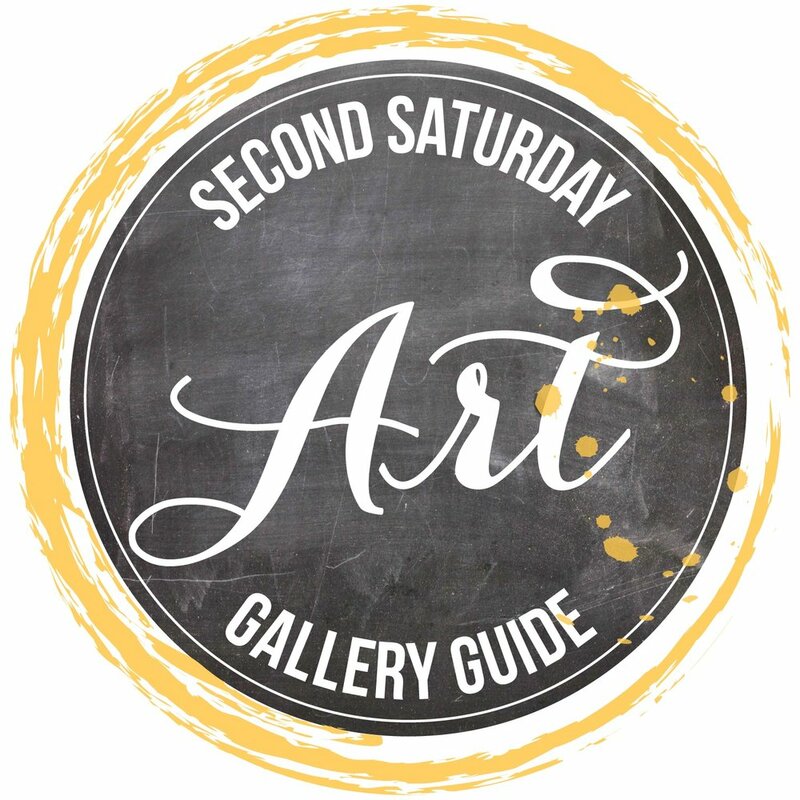 Second Saturday provides a great reason to walk Main Street and beyond, and explore the events going on around town. 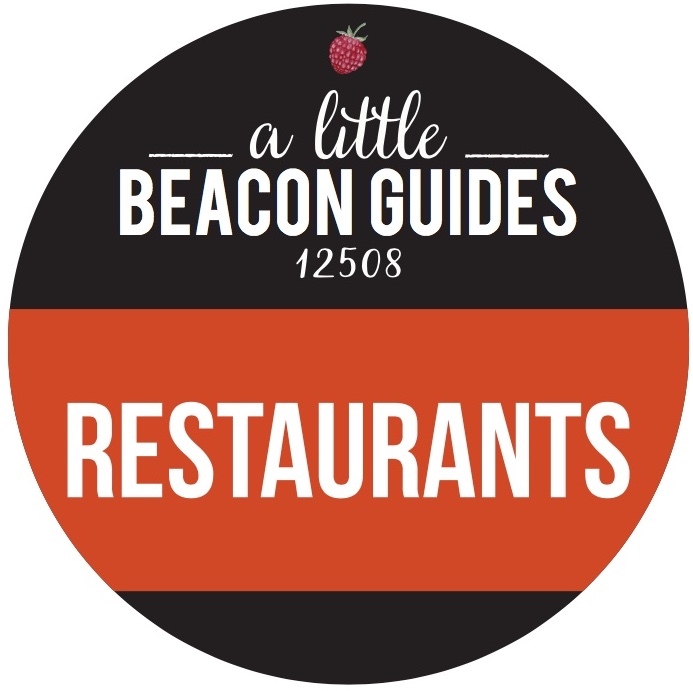 It's always a pleasure to dine your way through Beacon, so turn to our Restaurant Guide to help you puzzle out where to eat and drink as you explore special exhibits and happenings. 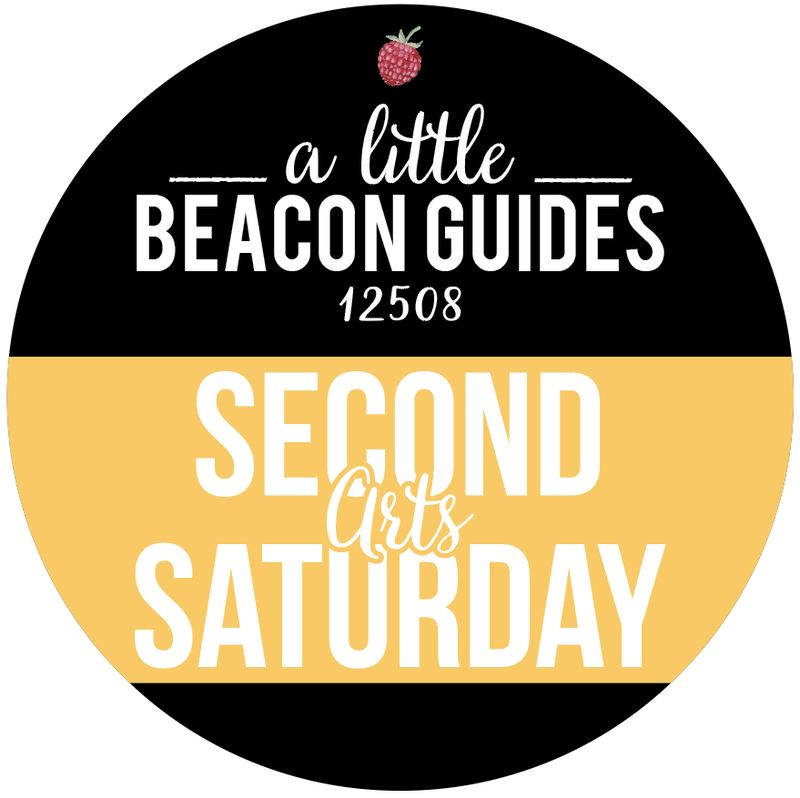 Share your way through Second Saturday by using #2SAT, the hashtag created by BeaconArts, and tack on #beaconny or #SecondSaturday if you have room in your tweets or Instagram postings. Meyer's Olde Dutch 184 Main St.
Leave all of our Guides open on your phone, because they include addresses and phone numbers. Tap on a phone number to call anyone! 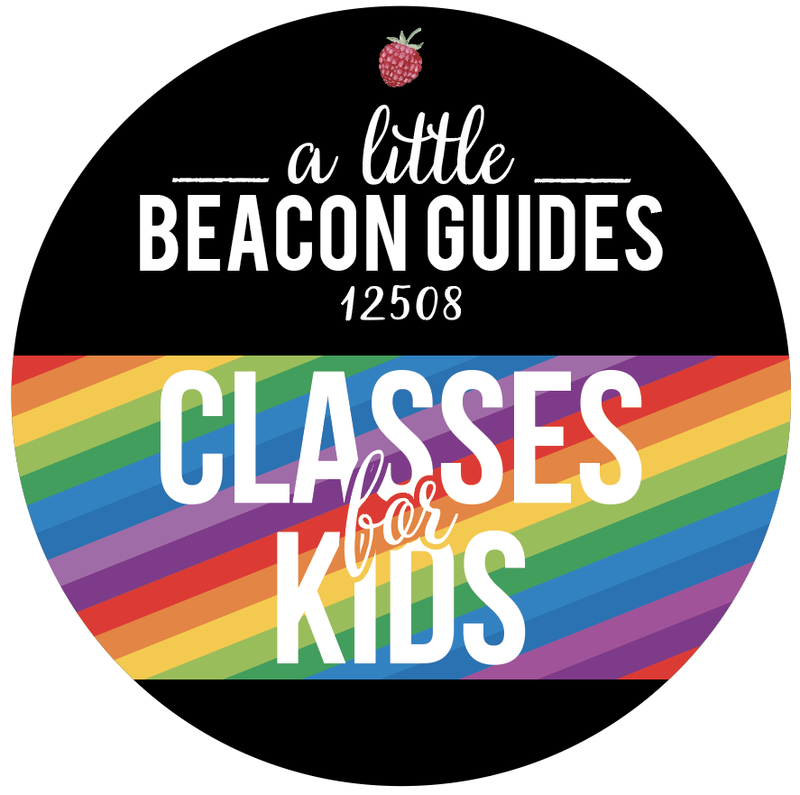 Second Saturday, April 13: Happy Second Saturday, Beacon! What else is going on around town? Check out our Event Guide to fill you in on the rest of the happenings - if you're out and about in Beacon and see something that you think we shouldn't miss, tag us on Twitter or in your photos on Instagram (we're @alittlebeacon on both). Now, let's get to March’s art openings and events. Special for Second Saturday: Saturday Studio! At 10:30 am, visitors can join practicing artists for a free workshop of family-friendly art-making and play in the Learning Lab. Saturday Studio begins at 10:30 am; sign-up begins in the admissions area at 10 am. Reservations are recommended but Dia keeps a few first-come, first-serve spots open! 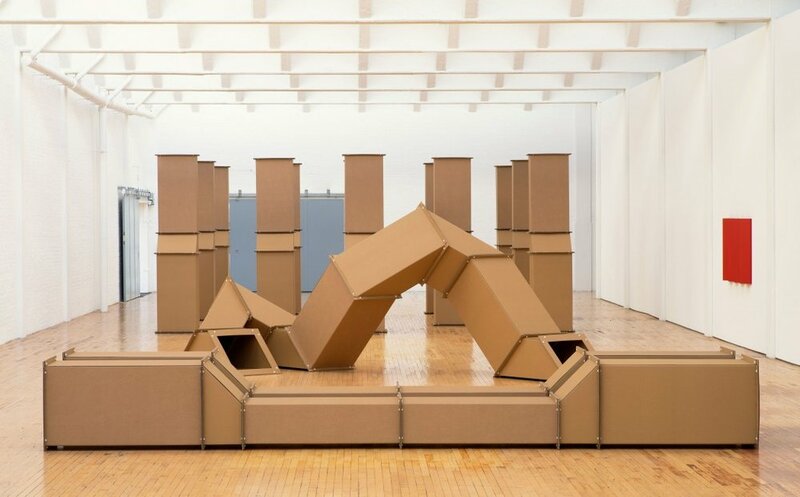 All families participating in Saturday Studio receive free admission to Dia:Beacon for the day. Once the Learning Lab wraps up, check out a guided tour of the museum at 12:30 or 2 pm. Reservations aren't necessary, but may be made at the admissions desk. Mother Gallery is a co-creative, artist run, exhibition space located in Beacon, NY. 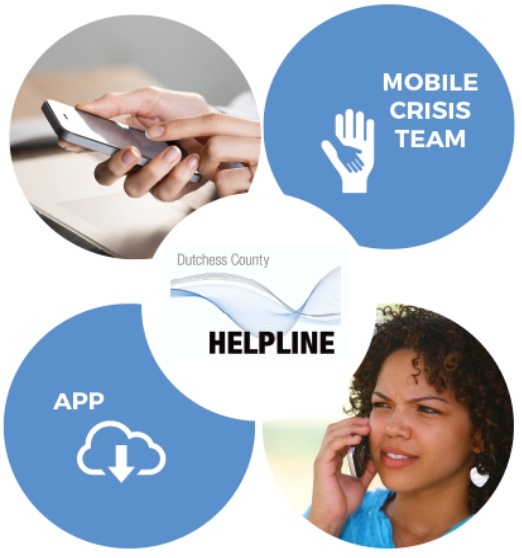 Conceived and stewarded by Kirsten Deirup and Paola Oxoa to foster collaboration, community, and open dialogue amongst all people in the Hudson Valley and beyond. Mother is on the move! The gallery has found a new space up the hill, heading up to 1154 North Ave. in time for next month’s opening. The big brick space is right on Route 9D, near Giannetta Salon & Spa. Mother’s partners/neighbors in the building are Parts & Labor, who’ll also have gallery space. Mother will re-open on Saturday, May 11, with Tools, Totems, Traps, a group exhibition with work by Jessica Gaddis, Alessandro Keegan, Caitlin MacQueen, Joshua Marsh, Yuri Masnyj, and Carter Spurrier. Through Sunday, April 28: New works using paint, clay, wood and more, from frequent Beacon faces Catherine Welshman, Margot Kingon, and George Mansfield. You’ve seen these folks a million times around town (or behind a bar or at a City Council meeting - George is versatile), now come say hi, get to know them in a different setting by supporting their art at Catalyst. Through Sunday, May 26: Another all-women show lines up with Women’s History month! Bannerman’s new contemporary art exhibition features representational landscape paintings by artists Daniela Cooney, Tarryl Gabel, Laura Garramone, Judith Hraniotis and Susan Miiller. Through Sunday, May 26. Through Sunday, May 15: The lobby of The Inn & Spa at Beacon has been rededicated as the Beacon Fine Art Gallery! Stop by to see the representational landscape and still-life paintings of Keith Gunderson, through Sunday, May 15, 2019. Glass works from Barbara Galazzo also will be on view, as well as paintings by Anamario Hernandez. Special for Second Saturday: How sweet it is! A new batch of treats is ready to be revealed behind the gallery, in MR Yard. This cozy space packs in a lot of art. (We wrote about the gallery and yard a couple years ago, here.) Take a peek, take your time, look around. Ongoing: Inside the gallery, see Candelabra: Things That Carry the Light of the World, featuring "finely executed visual perspectives" in various mediums by more than a dozen artists. What carries the light of the world to you? How do you carry light? Don't hide it under a bushel. Bring it to Main Street and the MR Gallery. In the MR Yard outside, don't miss The Bird's Nest, a site-specific installation. This glass studio has been casting functional and sculptural objects for over 20 years - a truly special establishment to have in Beacon. Stop in to find blown-glass objects of all kinds, from lights to bowls to wind chimes. Sometimes on Second Saturday, you can watch them blow glass! Special for Second Saturday: Bruce Pileggi toys with line, color, and shape in his recent paintings (using mix of mediums) as he modulates between the abstract and the representational. 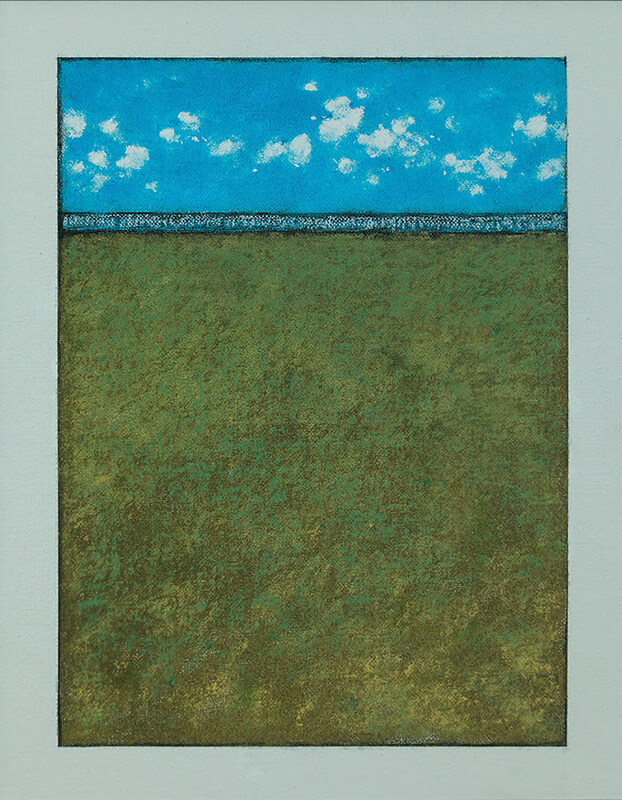 Some evoke a long-distance view of a meadow and sky, while others might have you pondering the geometries of raindrops. Through Sunday, May 5. Special for Second Saturday: The team at Clutter is outdoing themselves this month, with not one, not two, but three shows. Three! Try not to die from cute overload as Jenn and Tony Bot (based in Kentucky) curate 1) the Bubbles custom group show (#botsbubbles) with more than three dozen takes on the mini vinyl figures; 2) Darkest Hours, works from almost 20 artists inspired by the mysterious world of Luna and the Magical Night Lights; and 3) Ambedo - the Bots’ own colorful, whimsical work. Hours: Monday to Friday, 10 am to 6 pm; Saturdays, noon to 5 pm Second Saturday opening reception, party starts at 6 pm! Continuing for Second Saturday: Karl LaLonde, a co-owner of RiverWinds Gallery, turns the spotlight on his own work with the new paintings in Hue Tint Shade. You almost can’t help but feel warm and cozy when you look at the vibrant colors of these paintings. Carried over, the show is now running through Sunday, May 5. Raffle! Enter to win a 20 percent discount on your favorite large Karl LaLonde painting or a free mini Karl LaLonde Painting. Send the gallery an email at info@riverwindsgallery.com with the title of your favorite painting, along with your name and email/phone. There’s a drawing every week! Hours: Monday and Wednesday, noon to 4 pm; Thursday, Friday, and Sunday, noon to 5 pm; Saturday, noon to 6 pm; Second Saturday reception with the artist, 5 to 8 pm. Special for Second Saturday: In advance of Earth Day later this month, you might do a little homework on local ecology. 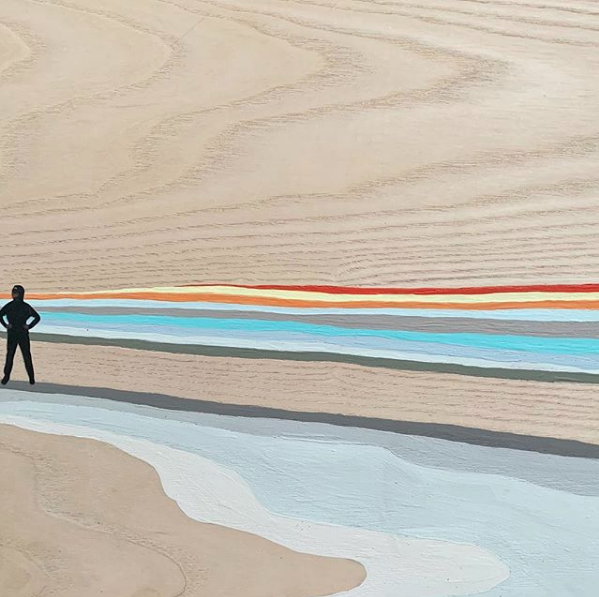 John Sabraw’s Anthrotopographies invites viewers through landscapes equally sublime and terrifying, unearthing the beauty and brutality of topographies (the surface of the landscape) affected by extraction of natural resources. Discover how Sabraw translates raw materials and pollutants like toxic acid mine drainage (AMD) into pigments, and uses advanced tools to burn and excavate his pieces, echoing extractive practices in his work. Opening Thursday, April 11: Between the Lines, the fourth annual exhibition of student artwork from the Beacon City School District. The library is happy to be partnering again with the Beacon City Schools to showcase the creative work of our community’s youth. This annual exhibition features a selection of artwork from Beacon High School, Rombout Middle School, Glenham Elementary School, J.V. Forrestal Elementary School, Sargent Elementary School, and South Avenue Elementary School. The exhibition was organized with assistance from BCSD art instructors Allison DeLisi, Sallie Farkas, Claudine Farley, Mark Lyon, Sergio Perez, Cathy Pezzo, Edmund Trad, and Susan Wurtz. The exhibit is just a small sample of the amazing work being done by students of all ages throughout the Beacon City School District. Refreshments for the student reception provided by the Friends of the Howland Public Library. Through Sunday, May 5. Special for Second Saturday: Wink - Volume 1, featuring MC Wolfman, Theresa Gooby, Gregory Stovetop, Jason Durham, Yusuke Okada, James Johnson, and Lydia Roberts. As of October 2018, Matteawan Gallery has closed. But keep a look out for owner Karlyn Benson's name and keen eye: "I plan to curate exhibitions under the name Matteawan Projects and to write about art in the Hudson Valley," she says. Follow along with her projects via Instagram, at @matteawanprojects and @kb_creativeconsulting. New in this 436 Main St. space - La Mère Clothing + Goods! Get the scoop on this burgeoning boutique - and every other storefront! - in A Little Beacon Blog’s Shopping Guide. Moveable art in frames - art you must see and experience. Jay Palefsky taught art in New York high schools for more than two decades, then packed his bags to pursue life as an artrepreneur, with a steadfast commitment to doing things differently. Two doors west of the Howland Center, No. 3 Reading Room & Photo Book Works is an artist-run venue, featuring select artists’ books, artist photobookworks, photography books, work on paper and poetry from small and independent presses. Contact Paulette Myers-Rich at photobookworks@gmail.com for additional information. 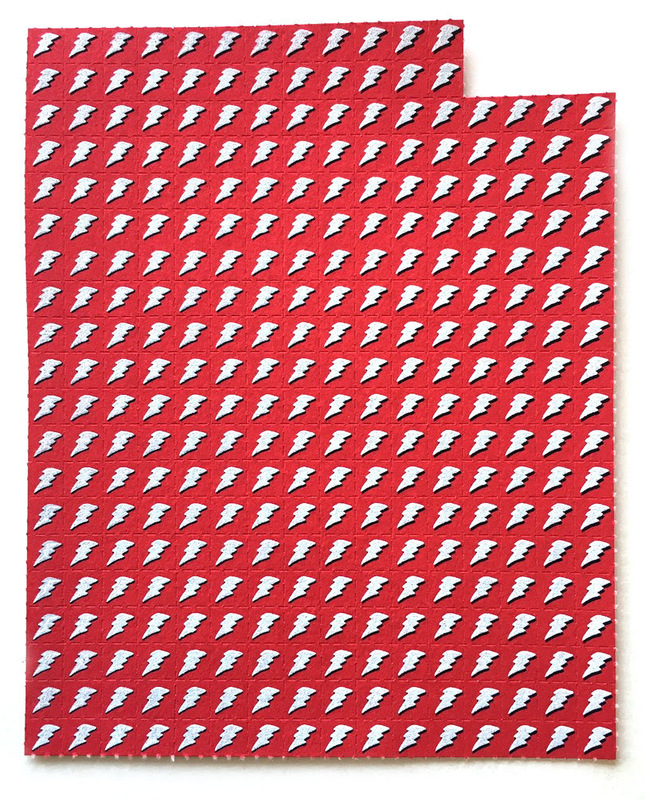 Special for Second Saturday: Working OverTime, works on paper by Clarence Morgan and David Rich, opens. Imagine being able to revisit your work over decades, tweaking a bit here and there, searching for the pinnacle of “just right.” I imagine it might feel a bit like checking in with an old friend. Photo Book Works founder Paulette Myers-Rich describes further: “What does it mean to make a painting over time? What does devotion to one’s practice extended over a lifetime entail? To painters Clarence Morgan and David Rich, each in their sixth decade, time has become compressed, with a degree of urgency about its limitations and passage. Yet both are known to, without reluctance or hesitation, revisit work done decades ago, to pick up their tools and search within both dimensions of painting and of time, of then and of now. Nothing is fixed, everything is up for grabs. Time collapses and the dialogue continues.” Through Sunday, April 28. Beacon's Howland Cultural Center is not just another arts organization. Its beautiful home is a Victorian building, a library for a long time, that was born specifically to serve the community as a cultural resource. Through Sunday, April 28: Now’s your chance to see some fantastically talented artists from the Hudson Valley, especially Beacon. About 40 Artist Members of the Howland Cultural Center are displaying recent works - paintings, photography, mixed-media works, sculpture - everything. Through Sunday, April 28 (closed April 14 and 28 during concerts). Maria Lago's super-textural paintings come to life with her larger-than-life sculptures. Her gallery is filled with the looming, evocative figures. Come meet Women Warriors, Maria Lago's latest painted additions to her family of haunting, elongated beings. bau (Beacon Artist Union) is a platform for members and artists to grow, present and market their work and collaborative curatorial projects, while hosting events of related disciplines: performances, talks, film and music. BAU builds a vital link between artists' activities and rest of the community. Special for Second Saturday: Wet, bau’s 172nd consecutive exhibition, centers around a pool of sea creatures, swimming the murky depths. Carla Goldberg’s gossamer bubbles and jellies will surely be present, along with fantastic creatures from Melissa Schlobohm. Faith Adams and Russell Ritell round out the show, which features ceramics, drawings, paintings, sculpture and prints by masters in their mediums. Artifact Beacon is an art gallery, storefront, and workshop from Carolyn Baccaro. Coming from Main Street? Keep going around the bend, and hang a right at the dummy light (maybe stop to scope out the stunning goods in the 1 East Main shops), then cross over the rushing creek, and head for the hills. You'll find the latest gallery on your right, in Gwenno James' former space. 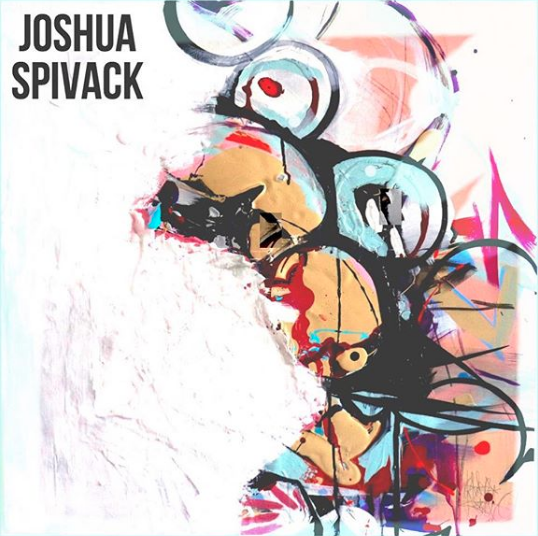 Special for Second Saturday: Splashing bold bright colors, and stark pen-and-ink drawings are hallmarks of Joshua Spivack’s art. “Placing different colors next to one another and seeing how they react has always interested me when painting or drawing,” Joshua says. “My work is a direct extension of my subconscious/conscious thoughts... I think of the mind as a puzzle and the canvas as the solution." Head up to Artifact, and check out his work. The shop will have complimentary drinks, in case you were worried about working up a thirst on the extended walk over. Kunsthalle Beacon is the official name for what many people refer to as "the artist studios in the old high school." Since 2010, the corridors and classrooms have housed dozens of studios and gallery spaces. Maybe you've visited before, maybe for a Beacon Open Studios jaunt. If you haven't yet checked it out, now's the time! On the horizon: Curated by Raúl Zamudio and Ethan Cohen, Orphans of Painting is a continuation of the 2017 exhibition at Ethan Cohen Gallery. Opening Saturday, May 18, in conjunction with Beacon Open Studios.